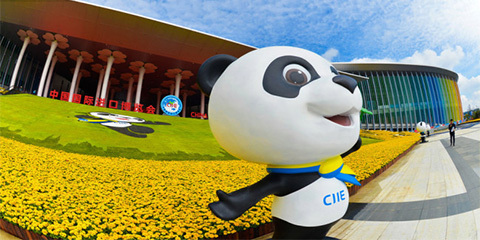 More than 1,800 companies have signed up for the second China International Import Expo (CIIE), scheduled for early November this year, the Ministry of Commerce has said. Over 900 companies from 77 countries and regions have confirmed participation as exhibitors, including 180 Fortune Global 500 firms and leading enterprises in various industries, Gao Feng, a spokesperson for the ministry, said at a press conference Thursday. The ministry will step up efforts to invite more private firms as well as small and medium-sized enterprises, Gao said. A total of 172 countries, regions and international organizations and more than 3,600 enterprises participated in the first CIIE, held from Nov. 5-10 in Shanghai. It was the world's first import-themed national-level expo.